Panel Guard Pad Style Snow Guard BLOW OUT!!! 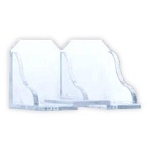 The Sno Shield Panel Guard is a UV stabilized clear polycarbonate pad style snow guard. It is used for snow retention on roofs such as: metal, slate, shingles, and shakes. It can be attached using three methods: peel and stick, mechanically fastened with two or four #10 screws (length varying for application needs), or SureBond-190 or ChemLink DuraSil. 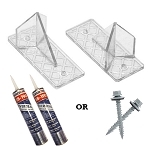 To know how much adhesive to purchase, calculate about 6 Panel Guards per one, 10oz tube of adhesive. 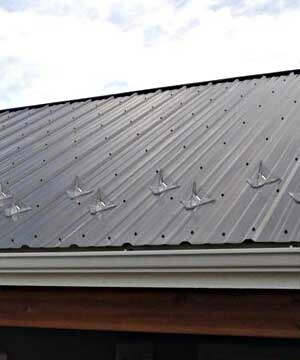 It can be installed or exposed fastened metal roofs, shingle roofs and 7/8" corrugated roofs. If a smaller plastic snow guard is needed, look at the SS Mini. 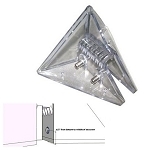 A mechanically attached snow guard means that screws or fasteners are used to attach a snow guard to the roof. 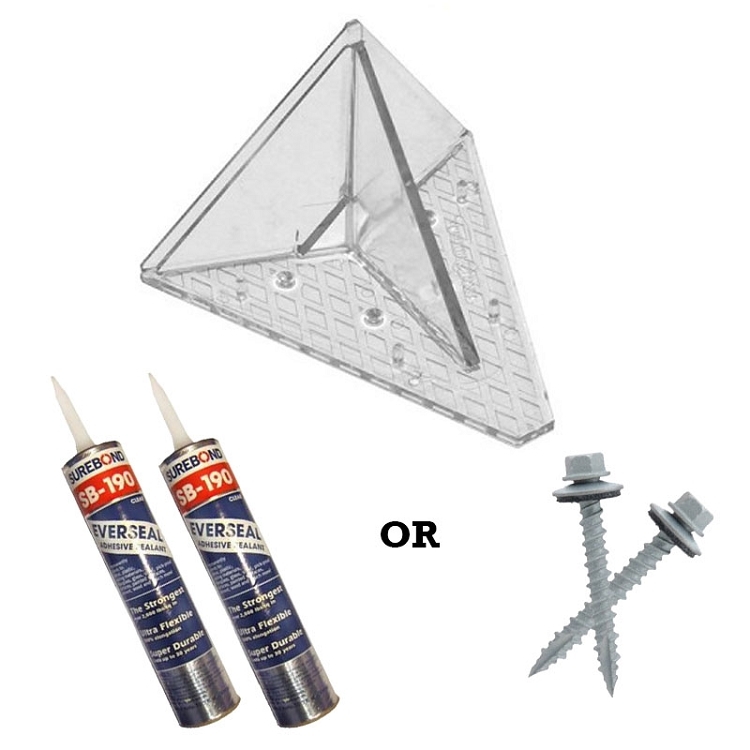 DuraSil can be used to seal where the screw penetrate the roof to prevent any leaking. 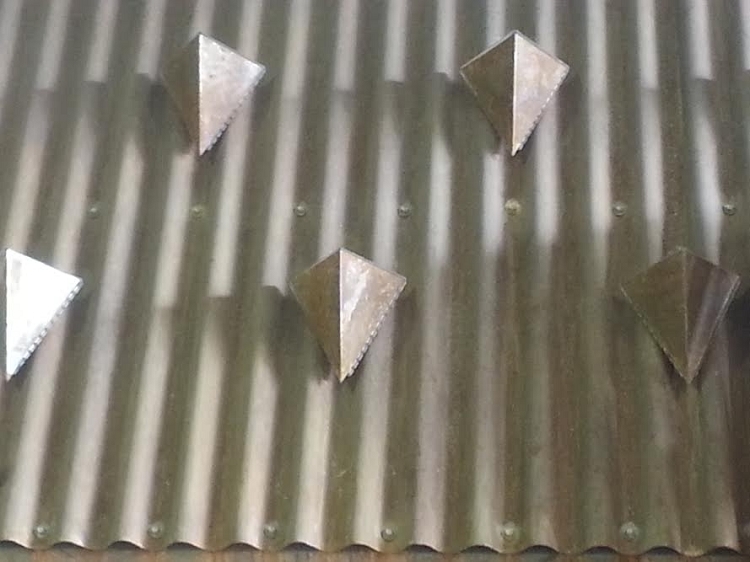 In snow retention, this method of attachment is best used on a roof system that is already using an exposed faster metal roof. 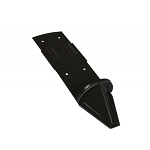 Out of the three pad-style snow guard application methos, a mechanically fastened system is usually the strongest. The key to an effective, adhesively mounted snow guard is in properly preparing the roof surface and installing it at the right time. 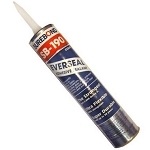 A Panel Guard snow guard can be attached to a roof system using a caulk gun and SureBond 190 or ChemLink M-1 Universal Structural Adhesive. First, make sure you are installing this snow retention product withing the temperature limits and proper cure times provided by the adhesive mfg. Second, the roof must be cleaned with a non-corrosive agent such as Isopropyl Alcohol (rubbing alcohol). By paying attention to these factors; snow guards mounted with adhesive will hold back the snow loads for which it is specified. The term peel and stick is as simple as it sounds. The adhesive tape is applied in the manufacturing process leaving the part ready to install once thr roof area is prepared for a proper adhesion. The roof surface must be cleaned with rubbing alcohol. As with most snow guards a straight line of snow guards are stronger verses a staggered line, because it works uniformly as the snow puts pressure on the system. 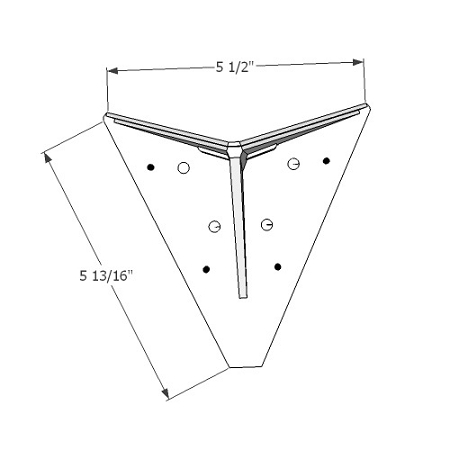 Multiple rows may be required when installing peel and stick snow guards. Sno Shield's Panel Guard Snow Guard is used for snow retention and is unique from other snow guards. 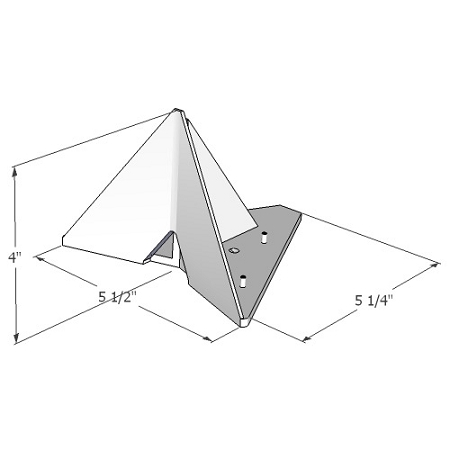 Typically snow guard profiles are "L" shaped or wing shaped (wide top, small base) which bend, break or deform under heavy snow loads on rooftops. 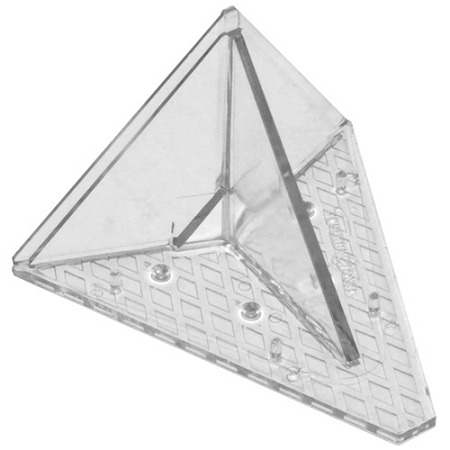 Their polycarbonate snow guards are triangle in shape. They chose that shape because it is one of nature's strongest shapes. 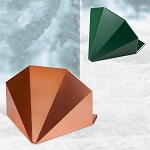 Now other snow guard company utilizes the strength of a triangle as they do. When heavy snow force is applied on a Sno Shield snow guard, the weight is automatically distributed throughout its wide base making it less likely to break or snap. 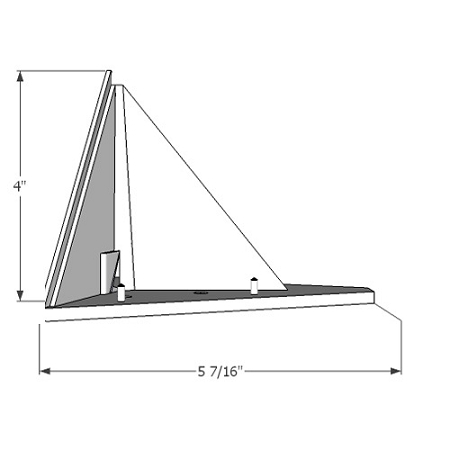 The wide, Y-shaped base of their plastic snow guard makes is effective at retaining snow and ice on the roof. In the long run, you will spend more on repairing damages made from snow falling off the roof than you will on a snow retention system. Please call us for assistance if you have any questions. 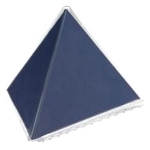 Click on the link to learn how Color Armor allows this plastic snow guard to color match your roof. Q: I am going to order Sno Shield Panel Guard from you. Is there an adhesive I also need to buy? What is the best way to clean the surface before I install them? The Panel Guards will come with installation instructions. The best way to clean the surface is to use rubbing alcohol and a clean cloth.